The American Architectural Manufacturers Association (AAMA) hosted Dr. Jim Doti, president emeritus at Chapman University and Donald Bren Distinguished Chair of Business and Economics, at the AAMA 80th Annual Conference in Phoenix, Feb.12-15. Doti provided an economic forecast and shared some predictions specific to the housing market. The A. Gary Anderson Center for Economic Research at Chapman University provides a top-ranked forecast of real gross domestic product (GDP) in terms of accuracy, said Doti, adding that recently, due to the recent presidential election, statisticians "have gotten a bad rap." That said, Chapman has been correct in previous elections ever since Nixon. Doti offered a forecast of what he called "Trumpenomics." "It's difficult to forecast, as Trump has proven to be very unpredictable," said Doti. "However, I'm very confident he'll give a reduction in corporate and business taxes. It almost has to happen." Also likely is an increase in defense spending. Somewhat less likely, but still probable, is that "Obamacare" will be revised significantly. At this time, the probability of infrastructure spending rising is low to medium. "There's not a lot of political support for that," Doti explained. With regard to "short term Trumpenomics," Doti gave a nod to the Keystone Pipeline, but acknowledged that "everything is going to take a lot longer than we think." The most likely impact of Trumpenomics, according to Doti, is Inflationary expectations. "When interest rates go up, the stock market goes down, right?" said Doti. "If you believe this view, you should be getting out of the stock market. But that's a fallacy. Don't think the market is being negatively affected by decreasing level of interest rates. Be more interested in the spread," advised Doti. "When we forecasted the last recession in 2007, we saw the spread turn negative in 2004, as it always does before a recession," he said. "The takeaway? When the feds start increasing interest rates, that spread will stay positive for a bit before it turns negative." In terms of the housing market: Chapman predicts a jump in household net worth, saying that incomes and wealth are up. "This impacts the GDP. Housing affordability is a little lower now and will be this year, too, but it currently takes an average of 4.5 months to sell a home," said Doti. "We predict 4.9 percent growth in housing starts and a 6.5 percent increase in residential construction spending," said Doti, adding that Chapman also predicts a 3.3 percent increase in commercial construction spending. In conclusion, Doti noted that we are currently experiencing the third-longest economic recovery in recorded U.S. history. 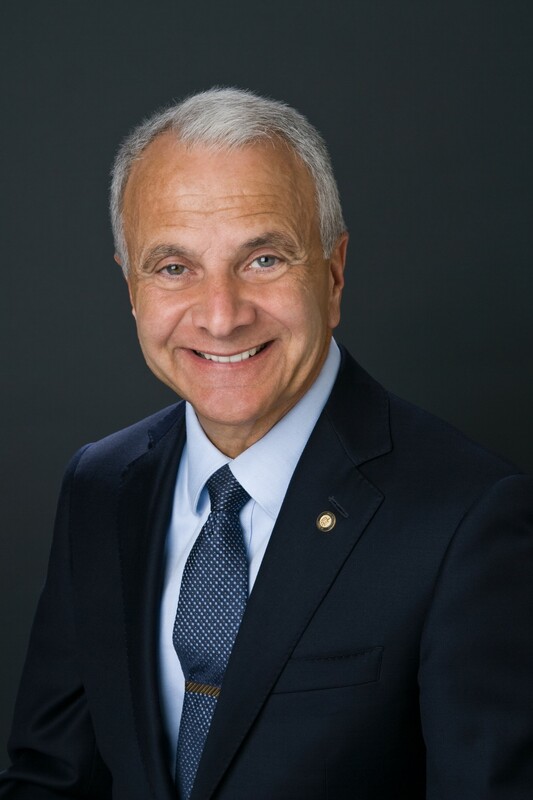 In addition to being an economist, Doti has had several guest appearances as a finance-focused character named "Chapman," like his university, on The Bold and the Beautiful. He proudly shared a clip with those participating in his session.